Serving a community rich in diversity – in every measure of the term – Des Moines Public Schools is dedicated to making our students, staff, parents, volunteers feel welcomed and supported. This page shares the vision we strive to achieve each and every day in our schools and classrooms. We are committed to ensuring an equitable educational experience for all. We strive to live inclusively by embracing the diversity of race, ethnicity, gender, gender identity and/or expression, sexual orientation, socio-economic status, religion, ability level, age, citizenship status, military or veteran status, and language. We believe that when we engage families and the community as authentic education partners, the learning becomes more dynamic, and students can grow academically, socially, and emotionally. Learning: Providing students with essential knowledge, skills, and abilities. Thriving: Ensuring each student reaches their maximum potential through enriching relationships. Belonging: Working in partnership with our students, families, and community to create connections that increase student success. Who benefits or is advantaged by the current system? What is the impact on this group of people? Who is disadvantaged? What is the impact on this group of people? How is it a systemic and/or institutional issue? 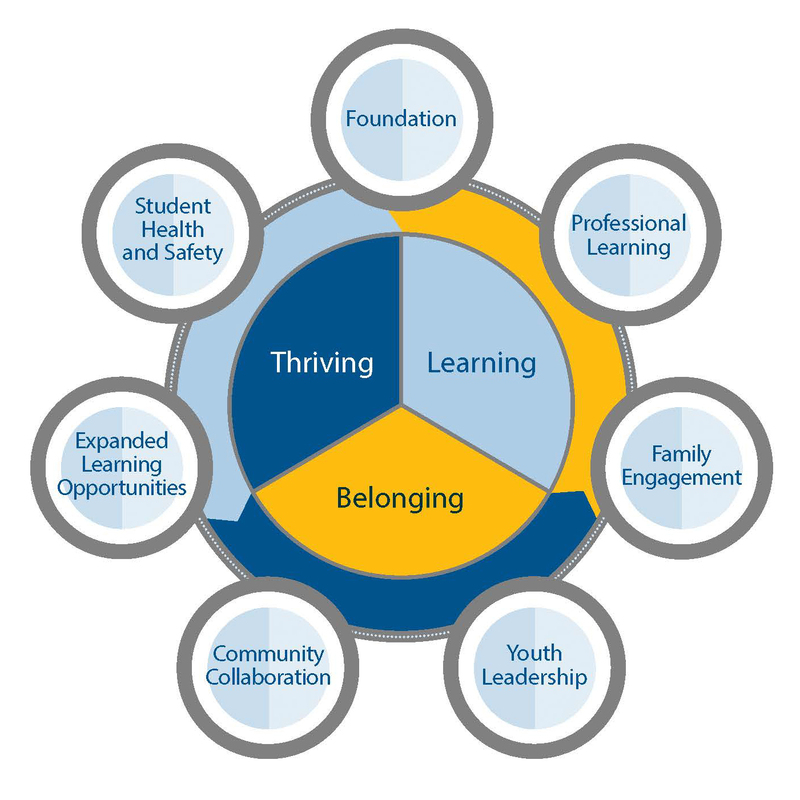 How does it represent our Equity Vision? How is it out of line with our Equity Vision? Why hasn’t it been addressed? Or, how has it begun to be addressed? How is this culturally informed or influenced? Who else should be included from our school community? How can our actions maximize educational benefit to more students while minimizing unmet educational needs or disadvantages?